Bring the excitement of an epic space battle to your child’s next birthday party with our exceptional Star Wars Pinata. Star Wars Pull String Pinatas feature iconic characters from the film series, making them a fun party activity for a Star Wars birthday celebration. Fill our birthday party pinata with up to 2 pounds of candy and party favors and then challenge young Jedi to find the only string that will release them all. Coordinate this pinata with other Star Wars party supplies and party decorations for a birthday celebration sure to win favor with the Rebel Alliance. 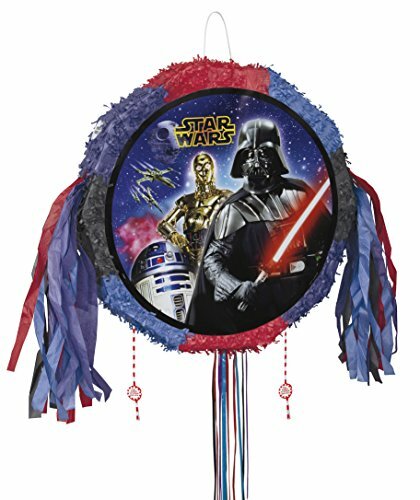 Star Wars Party Pinatas measure approximately 18.25″ x 18″ and are sold individually.